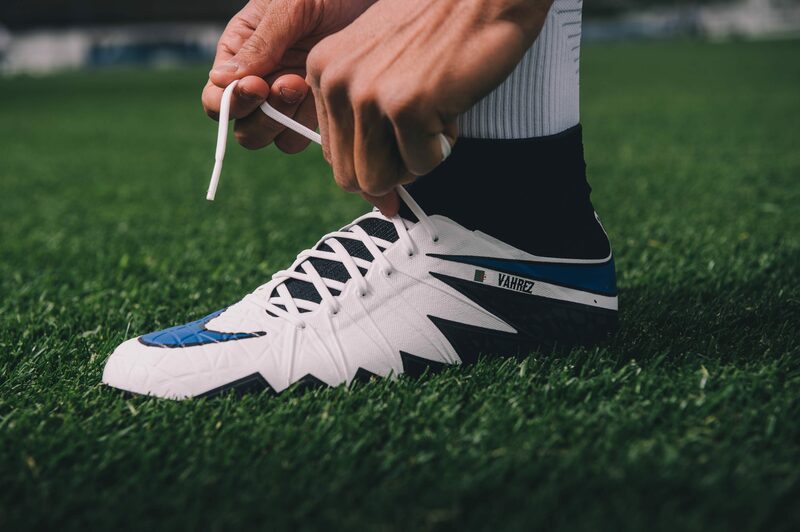 At the beginning of the 2015/16 Premier League season, footballers Jamie Vardy and Riyad Mahrez had 5000/1 odds of leading Leicester City to the title. 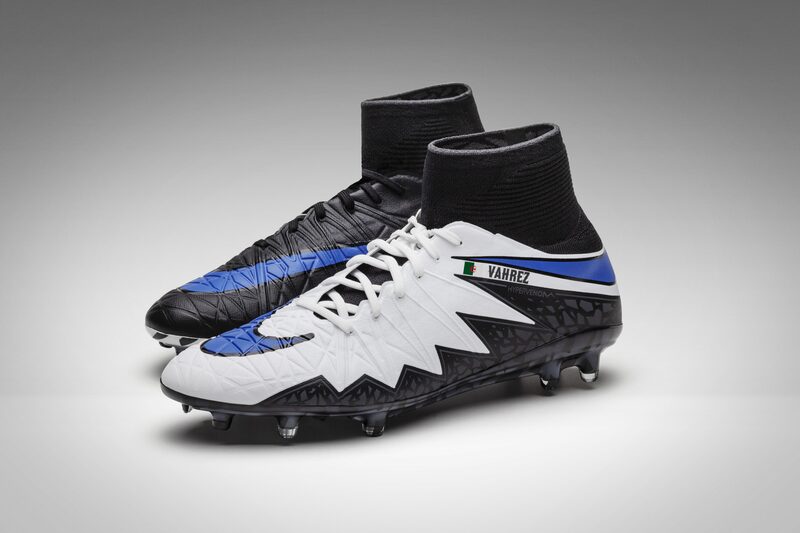 As we all now, by the end of the season they had defied logic to claim the title for the first time in their club’s history, just one year after narrowly avoiding relegation. 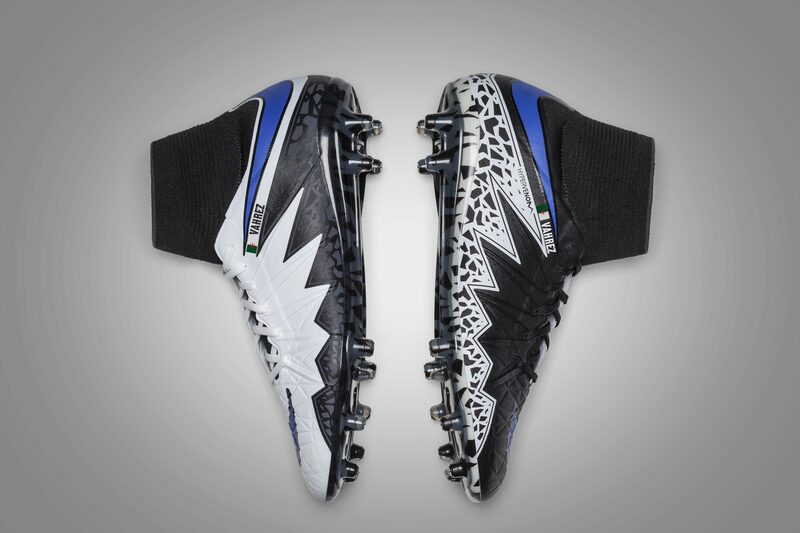 Along the way, two names stood out; Jamie Vardy and Riyad Mahrez who collectively scored 41 goals and provided 17 assists- earning Mahrez Player of the Year accolades from the Professional Footballers’ Association and Vardy the first player to score in 11 consecutive Premier League games, the Football Writers’ Footballer of the Year award. 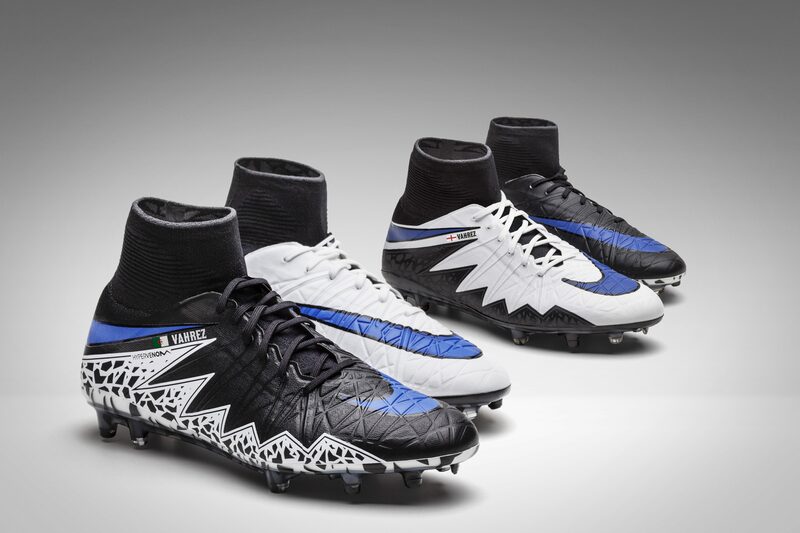 To commemorate their success Nike Football have presented each with custom VAHREZ Nike iD Hypervenom Phantom II boots to be worn in the final match of the season. 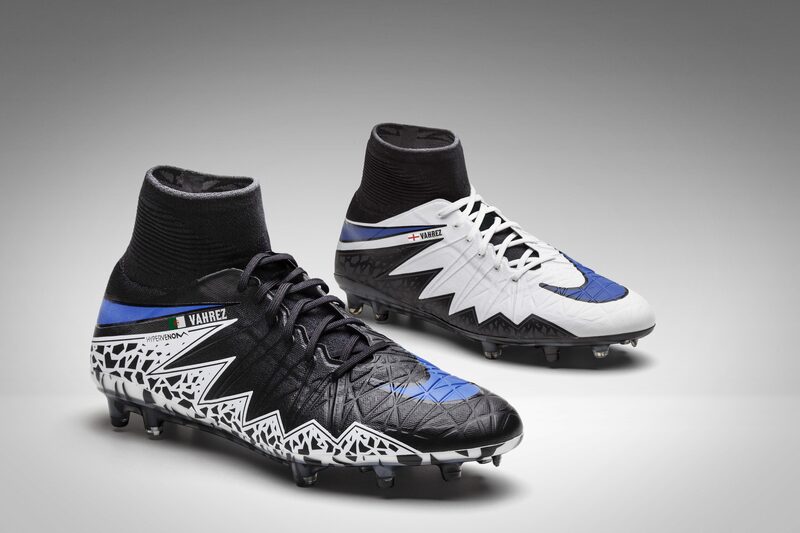 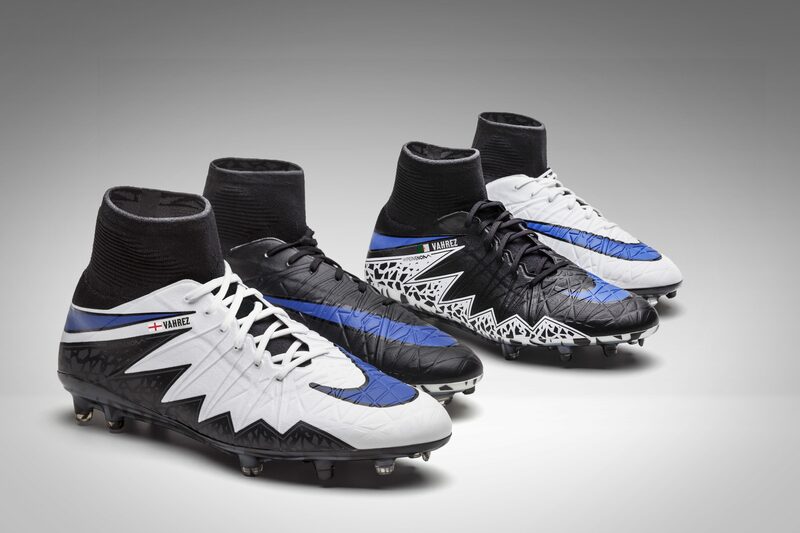 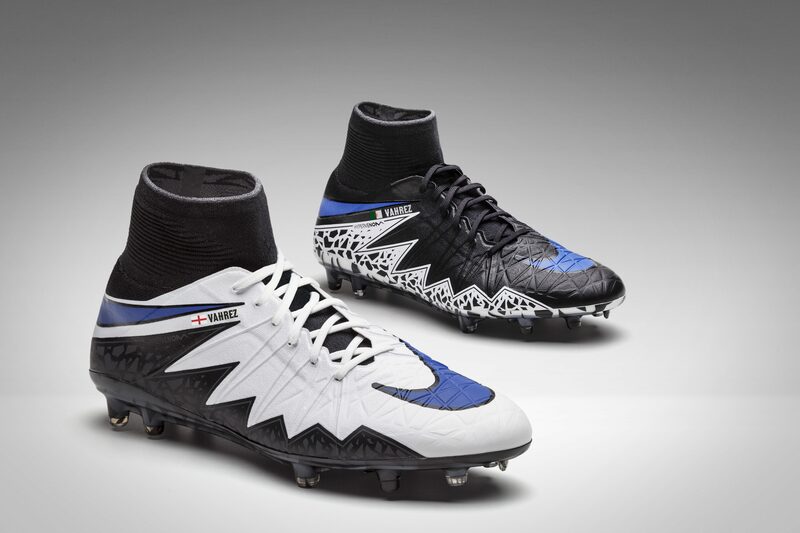 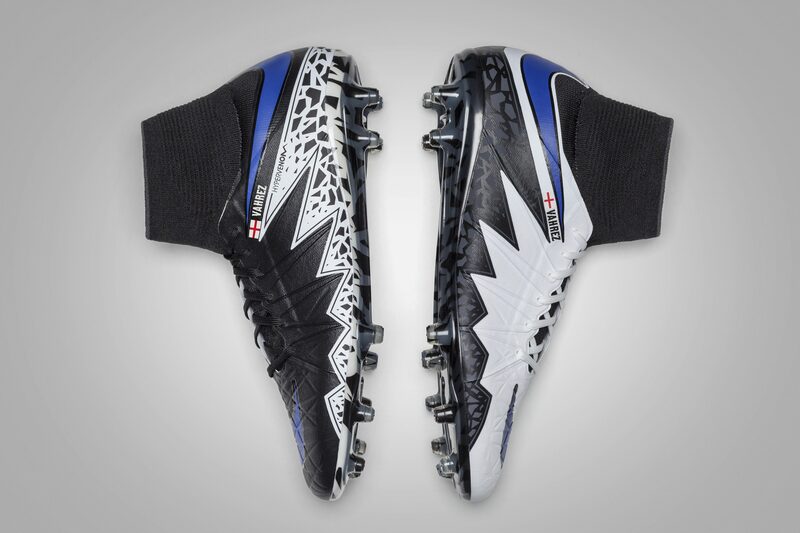 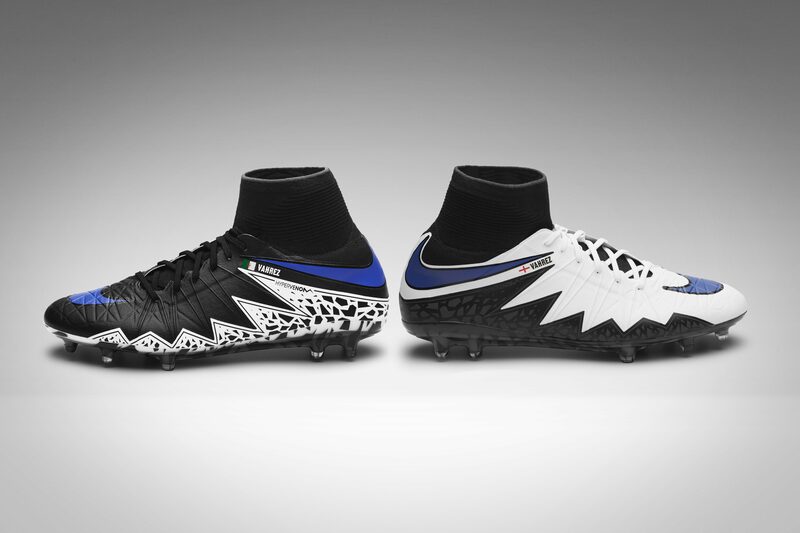 The boots boast subtle differences: Vardy’s right boot is predominantly white and his left is black, while Mahrez’s left boot is white and his right boot is black. 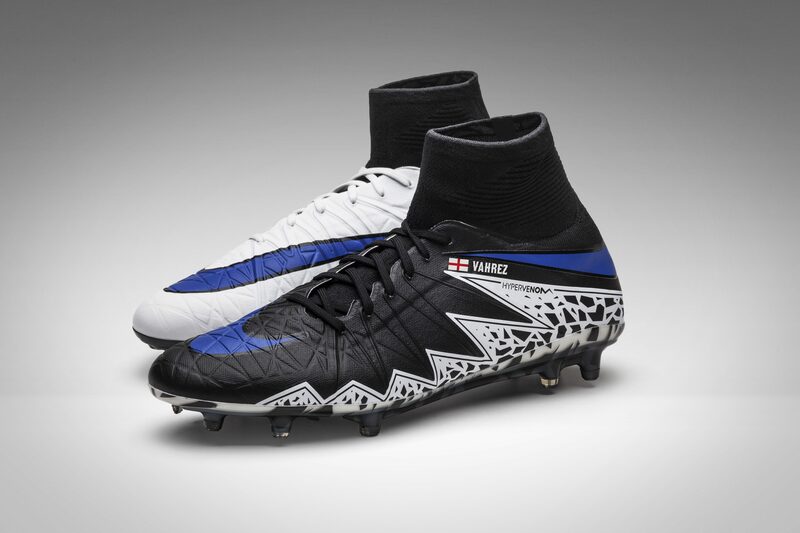 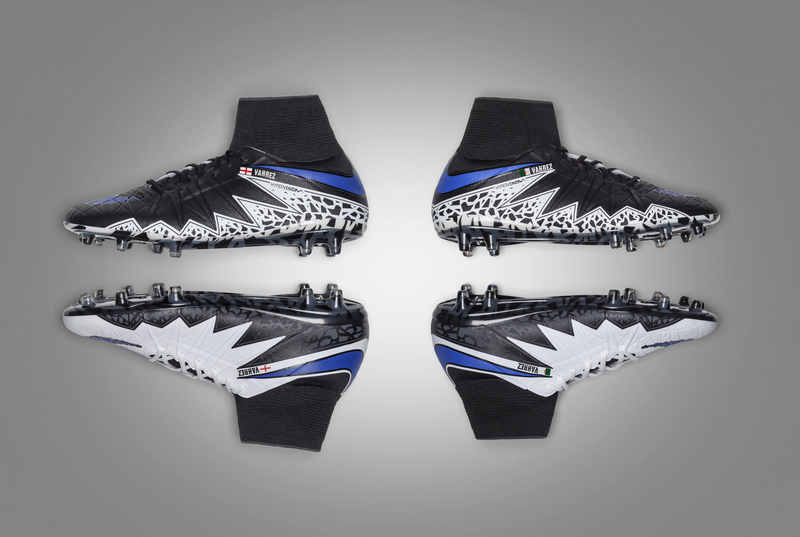 Additionally, each boot features its respective player’s national flag: the Algerian flag on Mahrez’s and the English flag on Vardy’s.